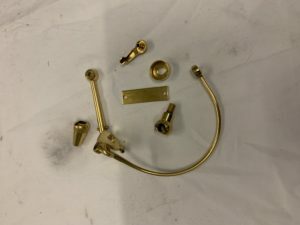 A keen fisherman has asked us to 24k Gold Plate the metal parts of his fishing reel. They electroplated beautifully and will look fantastic on his reel. We offer a full range of electroplating services including Gold, Silver and Copper. We also now electroplate to plastics.